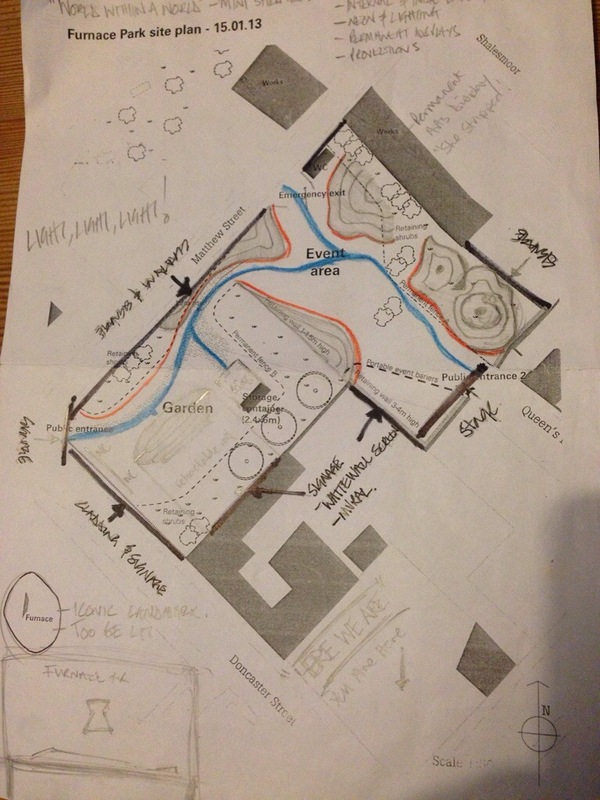 At our last Furnace Park round table meeting, Sheffield artist Stuart Ledger brought along a design plan that he explained would involve mapping Sheffield’s hills and rivers – through paths and raised areas – on to the Furnace Park site. The aim of Stuart’s plan is to prompt reflection on what we would do if the city were stripped back to its topological features and we could ‘start again’ in terms of designing the city in which we live… And what kinds of hands-on modelling could be done at Furnace Park to try some of these ideas out? Can we use story telling, art and performance to try out ideas that wouldn’t find a place in tradition master planning processes and consultations ?